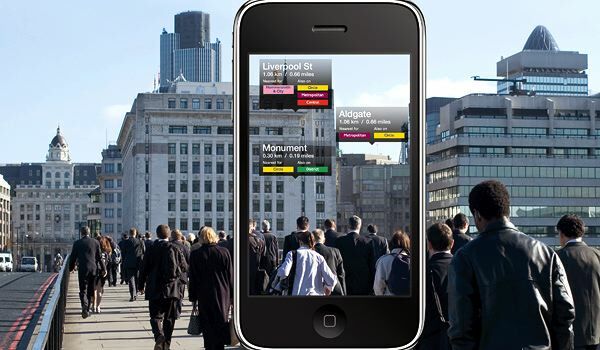 When I first heard about Augmented Reality, I thought – this is really cool. Let me try and augment mine. And I had a vision that included Scarlett Johannson (just kidding, sweetheart) and a home totally free of weekend honey-do’s and totally full of perfectly happy, compliant teenage children. Hell, if I am going to augment reality… I might as well go for it. Imagine this – in the not too distant future a wearable device will display a seamless series of “helpful” tags on top of what you are actually seeing, so as to make your viewsing more effective. Maybe you are part of surgical team involved in a complicated intervention, and your technology is superimposing real-time CT scans over your actual view of the operating field, hopefully improving outcomes. Opps, that is happening now! The tags, and decision support, which will make things even mo betta will happen later. Or say you are 18 and a Marine trying to repair a complicated hunk of your war machine (or maybe just a flat tire) in the desert or the jungle – special goggles will augment your reality with a layer of digital information that shows you how to fix your stuff in real time. What if you’re wearing your stylish Kazuo Kawasaki glasses, but your pair is specially treated to receive and display GPS cued digital information and layer it on top of the reality unfolding before you. So as you walk down the block on your lunch break and menus float by the asking prices of the homes for sale by the prices of the merchandise in the windows of the stores you pass – not to mention the crimes committed in the past on that corner or the public and not so public stories of the people you pass whose “social” network profile pictures can be matched to their actual faces. Augmented Reality. It’s coming soon to eyeballs near you. The early stuff has been rolling out for the past few years and includes things like “head’s up” displays in vehicles ranging from military aircraft to Cadillacs, or the “enhancements” on TV screens during sporting events – like first down lines or baseball pitch tracking. And your iPhone has scores of apps that overlay digital information, and ads onto a scene imported onto your device in real time by the device’s camera. For Business or Pleasure. Now Microsoft’s new Kinect is considering serving ads based on this notion of Augmented Reality into your living room! And as this technology begins to diffuse the question shifts from how to who. Who gets to choose what information will augment your reality? You? The highest bidder? Will your reality be a different reality if you are plugged into the Face, or Goog or Micro, or Yah? Of course it will. Facebook did not announce it wants to offer its 500 million users an email/messaging system because Facebook is trying to perform a public service. The Face is creating yet another way for its users to communicate without leaving the site – because it wants to monopolize and monetize each of these transactions and as many interactions of its 500 million users as it can. Now they are talking about augmenting every scene I encounter. My reality. MY LIFE! Look, there are wonderful, ennobling possibilities (like helping surgeons repair humans or trapped soldiers repair their machines) that will be potentially enhanced by augmented reality. The view from here to the horizon, and in every direction, will include a monetized, optimized, preference driven transactional marketplace with digital signage controlled by the highest bidder. If the concept of Augmented reality catches on, it will surely become akin to the television media. You can pick what you would like to view, as long as you view equal (or greater) amounts of advertising that “make it all possible”. This blog sheds a dark light on the trend of humanity. Is it possible that these glasses give vision to the blind, educate the ignorant, or even improve the life of John Doe (despite the commercialism)? Does the commercialism of television outweigh the important and powerful messages that can be passed through it? The same with the concept of augmented reality.